Apple started rolling a revamped version of iCloud this week with the arrival of iOS 8. Dubbed iCloud Drive, the cloud storage service is now more akin to Dropbox and Google Drive in that you can actually access and store stuff through a file system. But while iPhone users who also own a Mac are advised to wait for Yosemite before making the switch, Windows users are ready to go. 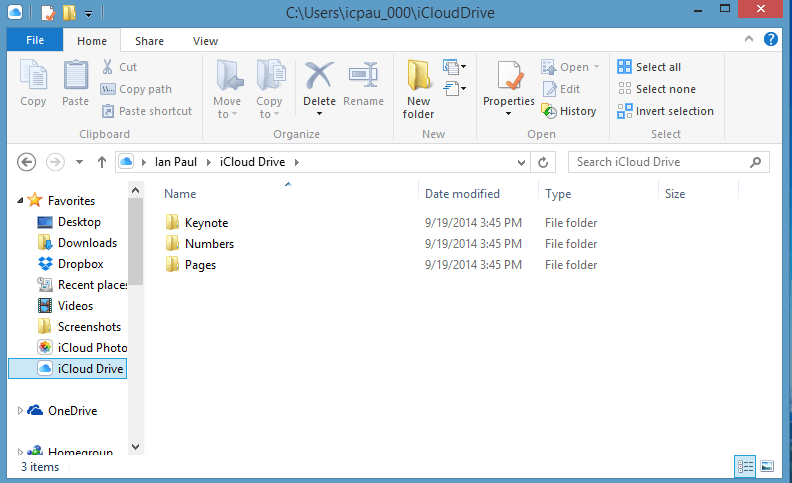 Today the company pushed out an updated version of iCloud for Windows that adds an iCloud Drive folder to the Favorites section within Windows File Explorer. Inside you’ll see a folder for each application you’ve setup to synchronize data though iCloud, and you’ll be able to drag and drop or create your own files and folders as well -- again, like Dropbox. Aside from acting as storage, iCloud Drive of Windows can also sync with your Photo Stream and sync Safari bookmarks with Internet Explorer, Firefox, or Chrome browsers. People with Outlook 2007 or later installed also have the option to sync iCloud mail, calendars, contacts, and reminders. Windows users can download the latest iCloud for Windows here. As mentioned above, Mac users are advised to hold off upgrading until OS X Yosemite is available, otherwise documents on their Macs won’t be kept up to date with documents on devices with iOS 8 or on iCloud.com. Those that are already on the Yosemite public beta, however, should have no issue. In addition to the features available on Windows, iCloud users on Macs will get iCloud Keychain password sync, and Apple’s "Find My Device" functionality.